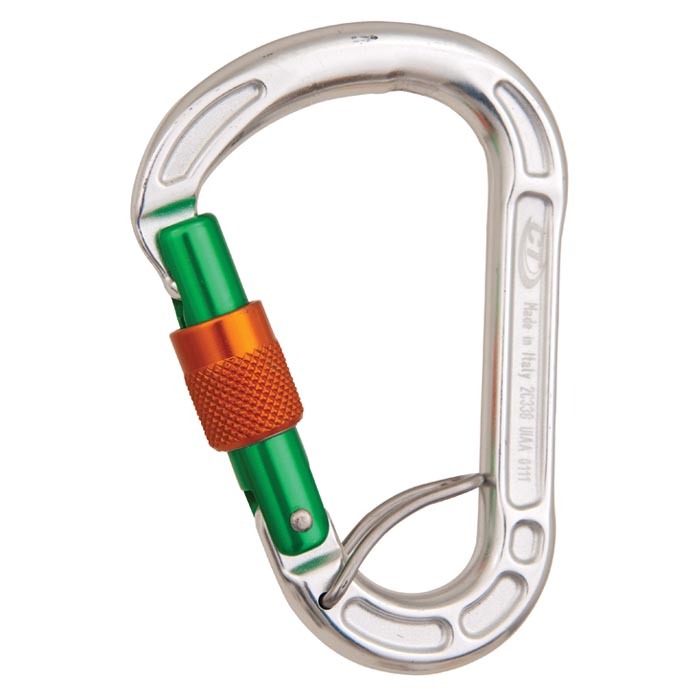 Equipped with a fast-action belay bar, the Climbing Technology HMS Parabiner prevents unwanted cross loading while belaying or rappelling. The belay bar operates as a wire gate that encloses the belay loop on the belayers harness to prevent the carabiner from rotating while in operation. The HMS Parabiner is hot-forged constructed while also using a key-lock screw gate design.